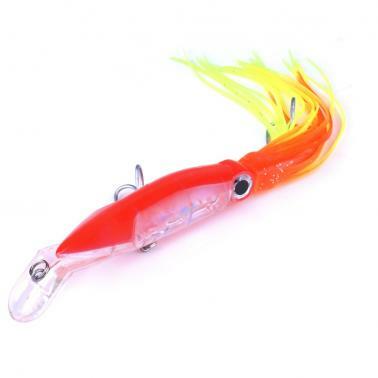 This kind of fishing lure shows a lively swimming action in water, finishing lures can stay steady during the casting and can increase the throw distance at the same time. Length: about 140mm (beard not included); Weight: about 40g. Lifelike appearance makes it look like a real squid underwater. All the lures hooks are super piercing trebles for sure hook-ups and impossible for fishes to escape. Perfect swimming action is deadly attractive to fish. 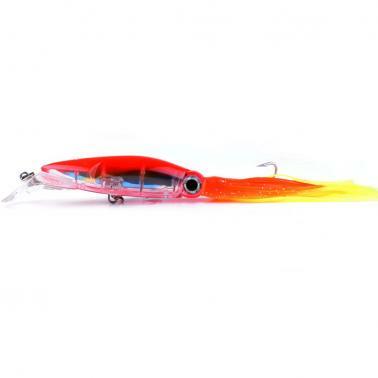 Perfectly suited for either casting or trolling to nearly any saltwater gamefish. 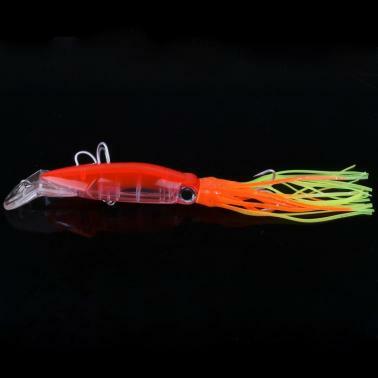 With an incredible translucent finish that mimics one of nature's best baits. Suitable for tuna, marlin, wahoo, majority of offshore species and any saltwater species that swim.